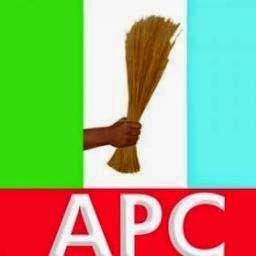 The All Progressives Congress (APC) in Rivers State has berated the State Chapter of the Peoples Democratic Party (PDP) for allegedly sponsoring political killings in the State, and rushing to court to stop the sitting of the Commission of Enquiry set up by the State Government to investigate the killings. “The news of the suit brought by Rivers PDP before Justice H. A. Nganjiwa of the Federal High Court sitting in Port Harcourt seeking to restrain the Commission of Enquiry set up by the Rivers State Government to investigate the political killings in the State did not come to us a surprise as we have been consistent in identifying PDP as the sponsor of these despicable murders. In reality, the suit is nothing but a self-indictment by the Rivers State PDP, which has by so doing erased any reasonable doubt that it is behind the political violence in the State that has sent close to 100 innocent APC members to their untimely grave,” Rivers APC Chairman, Dr. Davies Ibiamu Ikanya, said. Ikanya, however, expressed disappointment that the revered Justice Nganjiwa fell for PDP’s antics by granting the restraining order sought by the murderous party. “We hold Justice Nganjiwa in high esteem and we wish to appeal to him to vacate this restraining order at the next adjourned date to enable the Commission of Enquiry do its work. We are talking of human life and we respectfully appeal to His Lordship not to create an escape route for murderers to get away with their atrocities,” Ikanya said in a statement issued in the state capital, Port Harcourt. He expressed confidence that Rivers PDP’s desperate efforts to evade justice and to subvert the will of Rivers people and heighten insecurity, kidnapping and other criminal activities through the instrumentality of the court would eventually fail. Rivers APC sympathised with the people of the State over their present ordeal, as the State is today back to the era of insecurity, kidnapping and killings due to the desperation of PDP to capture power at all cost. “All these are evils which the APC Government of Rt. Hon. Chibuike Amaechi eradicated, only for them to be brought back by the Rivers State PDP leadership. We appeal to the good people of Rivers State to endure this sad development for the few months PDP will be in power before it is kicked out through legal means,” the statement said. “The good people of Rivers State, particularly the survivors of those murdered in cold blood by PDP agents, can be assured that this evil party can only delay justice but cannot stop the avenging of the shed innocent blood. On our part, we are determined to ensure that justice is done in this matter and people who do not meant well for our State are not allowed to govern us no matter the conspiracy of the Independent National Electoral Commission (INEC) and the outgoing PDP-controlled Presidency,” Rivers APC added. PreviousRio Ferdinand loses wife to cancer. NextPhotos: Chelsea celebrate title win.